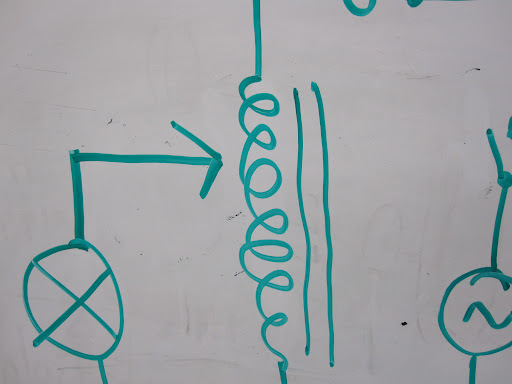 The schematic of the power supply which will drive both the hot cathode and the accelerator anode. It’s really two power supplies in one. 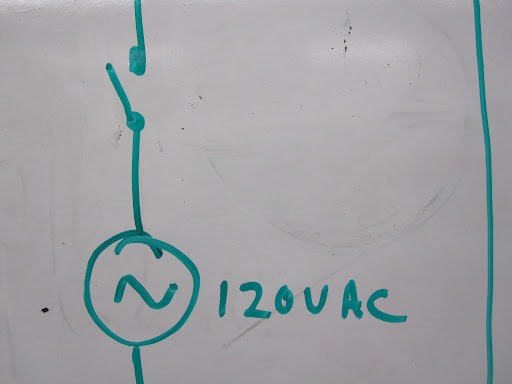 Put simply, it will convert the 120v AC current coming out of the wall into a source of lower voltage, higher current, AC power for the hot cathode, as well as a source of positive potential for the accelerator anode. 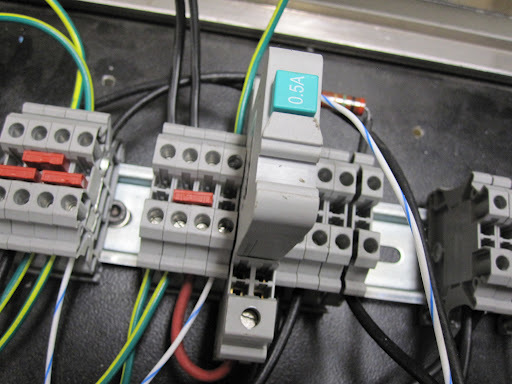 1) AC 120 volts from the wall to a switch. 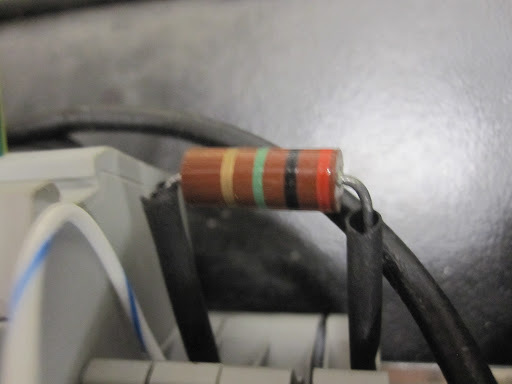 2) From the switch to a 0.5 amp fuse. 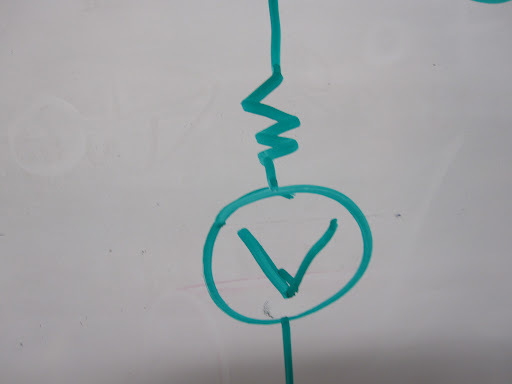 This, as suggested by Rehan, will prevent a current overload should the cathode arc to the wall of the vacuum chamber. 3) The the current will go to a variac auto-transformer which will allow us to regulate the voltage and current of the hot cathode. 4) Out to the hot cathode. 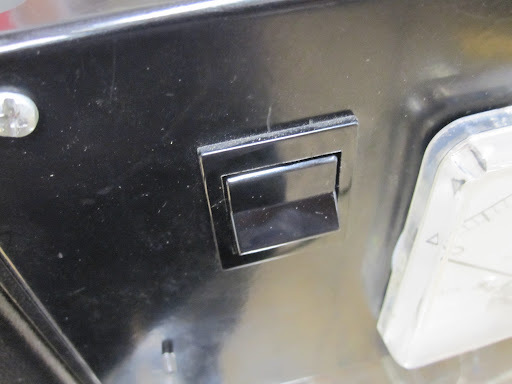 1) Current from the wall will enter the box and go to the same switch as the cathode power supply. 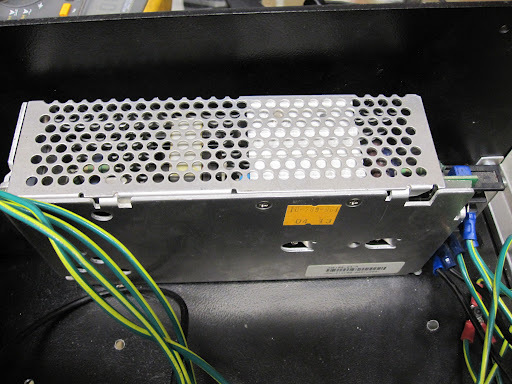 2) The current enters a stand-alone DC power supply. 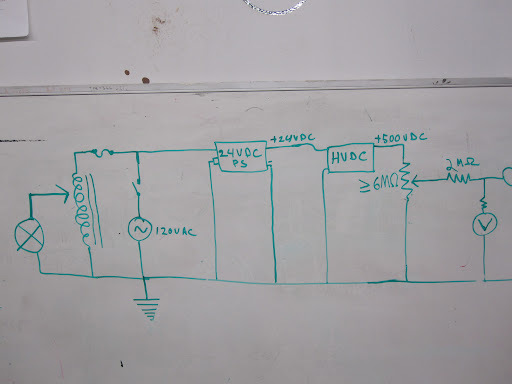 It is essentially a transformer which steps the voltage down to 24v and then a rectifier which converts it to DC. 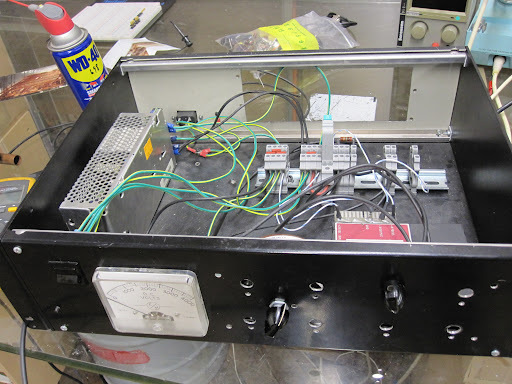 3) The current goes into a high voltage power supply which steps it up to 500 volts DC. 4) The negative HV output is capped, because we have no need for it. 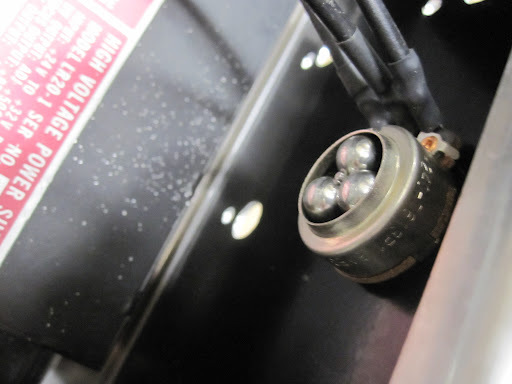 The positive high voltage output (which will ultimately create the large positive potential on the accelerator anode) goes into a potentiometer, which will allow for a variable potential on the anode, anywhere from zero to the maximum voltage output of the power supply. 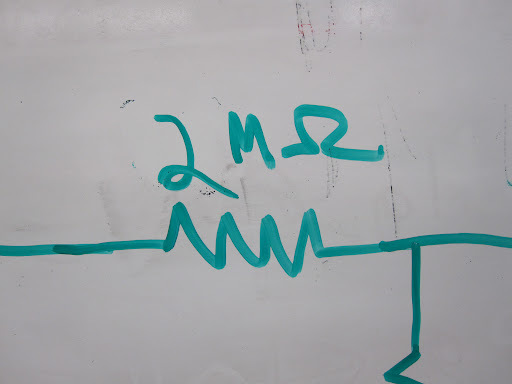 5) A 2 MΩ resistor. 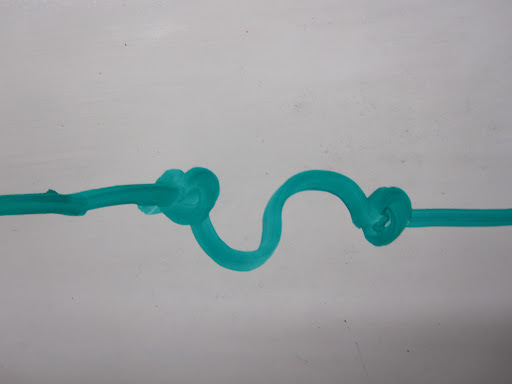 This will act as a sort of safety-net resistor. 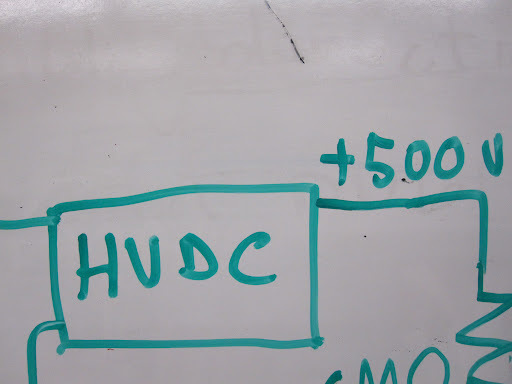 If there is an arc from the hot cathode to the anode, this will prevent the cathode’s larger current from flowing into the HVDC power supply. 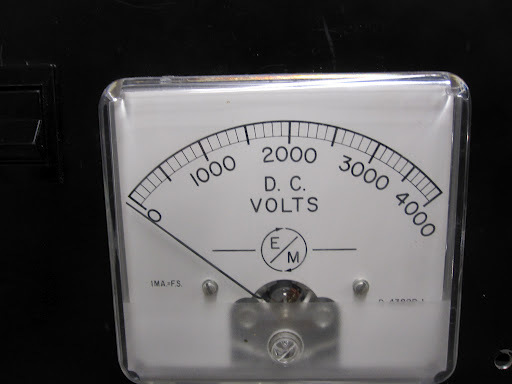 6) A voltmeter. Self explanatory. 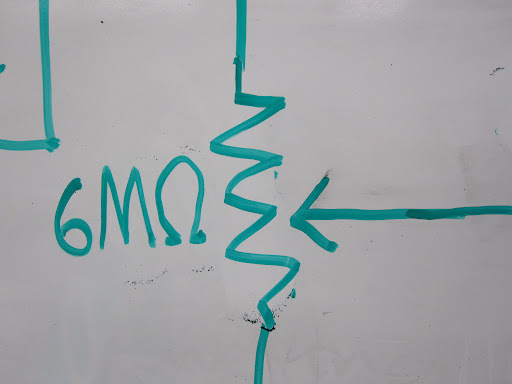 7) Out to the accelerator anode. NYT is covering Leeds Radio. My favorite spot for electronics in NYC! Richard is an awesome dude… very knowledgeable and great stories of EE insanity. I’ve learned much about the history of electronics just from his inventory. The vacuum tube era was a whole nother way of doing things. Electric double-layer capacitors are a newish energy storage technology. I find them fascinating and I want to play with them. 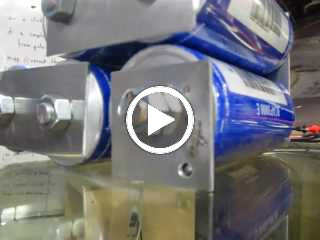 Like a capacitor they can charge and discharge very quickly due to their low equivalent series resistance. But supercapacitors store roughly two orders of magnitude more energy than normal capacitors! Previously we modeled the polywell coils and power supply in SPICE. Today I returned to that model. 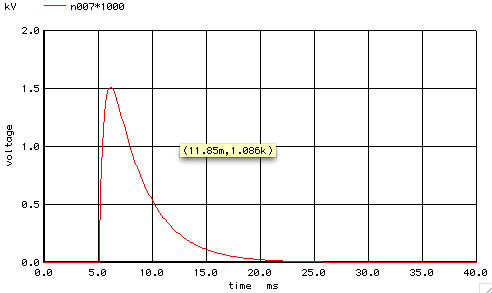 All resistance values in the simulation are based on real world measurements with the exception of coil inductance (code). 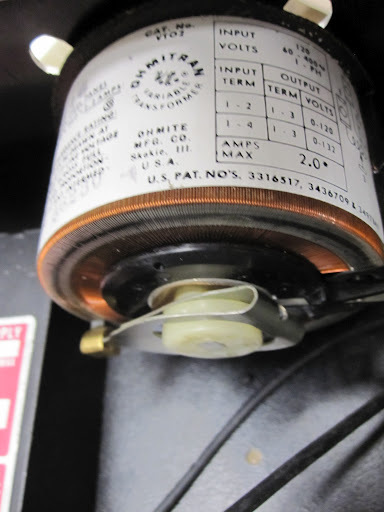 OK. Maybe the value for coil inductance is off? 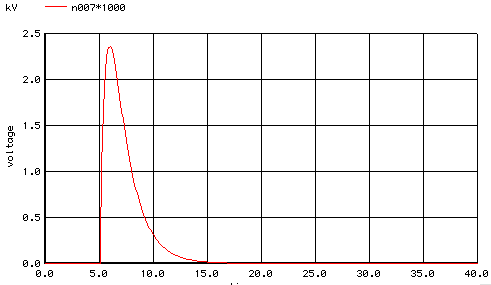 I played around with the value for coil inductance but the simulation would not match reality. 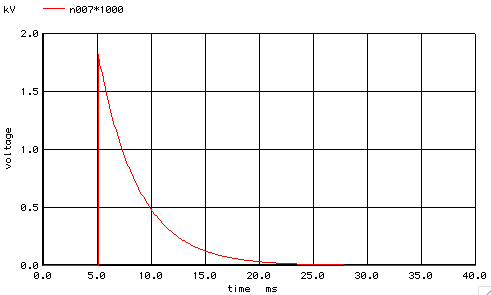 The simulation predicts ~1.8 kA but in reality we see 2.3kA! Where does this discrepancy come from? 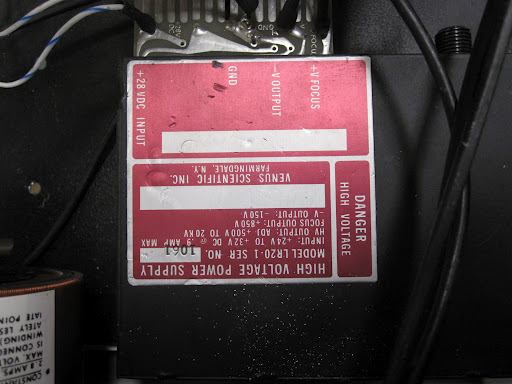 I can’t see the part number of your SCR but 2mOhms would seem reasonable. I didn’t notice that rather high resistance lurking in the SCR model. Good work Andrew and the rest of the internet brain!